Roadscanners has delivered Road Doctor Survey Van (RDSV) – Road Clinic to Latvian State Roads in year 2014. 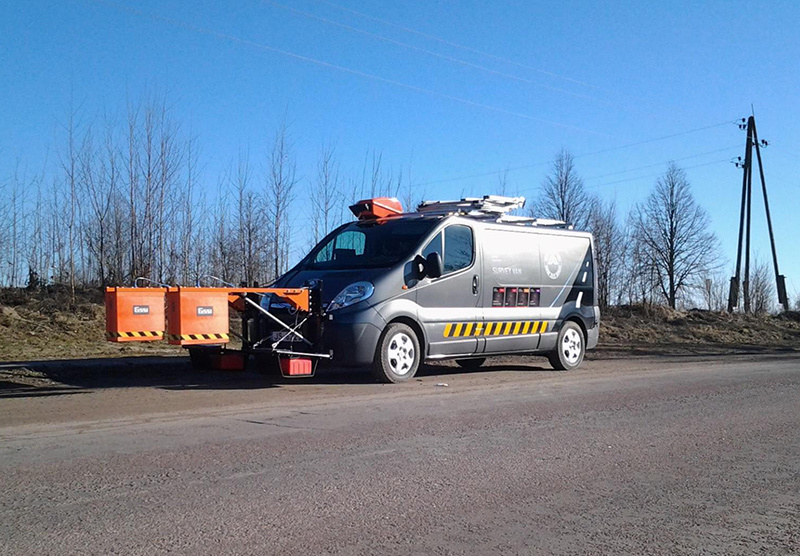 Road Doctor Survey van was commissioned in Finland and delivered as turn key system to Latvia. System delivery also included training for data collection and data handling and processing. RDSV – Opel Vivaro was commissioned with RDCL Videoing and RDLS Laser Scanning packages. Also GSSI GPR system was included in the delivery: SIR-30 with 2GHz, 400MHz and 100MHz antennas. RDSV is a perfect system for road condition data collection and analysis.